With GOP “moderates” caving on Medicaid cuts, the skids are greased. Quickly and in secret—that’s how lawmakers operate when they’re about to pass legislation that is both harmful and deeply unpopular. This week, while everyone was distracted by former FBI director James Comey’s testimony, Senate majority leader Mitch McConnell put the Republican health-care overhaul on fast track. His caucus is writing its bill in secret, and McConnell’s move means he could bring the legislation up for a vote anytime, without holding a single public hearing. All signs indicate that Senate Republicans are preparing to copy their colleagues in the House and jam through a massively destructive piece of legislation before the public knows what’s going on. Missouri Democrat Claire McCaskill raised the alarm during a Thursday hearing on the Department of Health and Human Services budget. “Will we have a hearing on the health-care proposal?” McCaskill asked pointedly of a flummoxed Orrin Hatch, the chairman of the Senate Finance Committee, who turned to his staff for help. After Hatch sputtered that Democrats were invited to participate regardless of whether a hearing was held, McCaskill retorted by recounting the months-long process of public hearings and amendments that the Affordable Care Act went through. Then she launched into a fiery, indignant speech. But something was served at the lunch that gave Republicans who’d been queasy about cuts to Medicaid a new appetite for them. Louisiana Senator Bill Cassidy, a doctor who’s tried hard to paint himself as a moderate on health care, emerged to say that he was “very encouraged” about the plan. Since then at least three other Republicans who’d been skeptical of the House bill, and represent states that benefit from the Medicaid expansion, have signaled they’ll consider cuts to the program. Ohio’s Rob Portman, West Virginia’s Shelley Moore Capito, and Nevada’s Dean Heller all said they could support phasing out the expansion over seven years, beginning in 2020. While that’s more gradual “glide path” (to use Capito’s word) than the three-year phase-out proposed by McConnell, the result is the same: the end of federal funding for the expansion, which could affect as many as 10 million people. According to a recent briefing from the nonpartisan Center on Budget and Policy Priorities, “Delaying or phasing in the cost shift to the states under the AHCA would not stop the eventual end of the expansion and steep reductions in Medicaid enrollment. The bill still would reverse the historic gains in health coverage and access to care that have been made under the expansion.” The longer glide path is only for the benefit of swing-state Republicans who want to delay the political repercussions of cuts beyond the next few election cycles. The Senate bill—whatever’s in it—is not a done deal. A provision related to abortion may violate Senate rules, while axing it could be a deal breaker for the most conservative members. And Medicaid remains fraught territory. But there are ways Republicans could skate over internal differences, for instance by passing a vague bill that omits details of the Medicaid cuts, leaving them to be worked out in the conference committee with the House—a process even more shielded from public scrutiny. 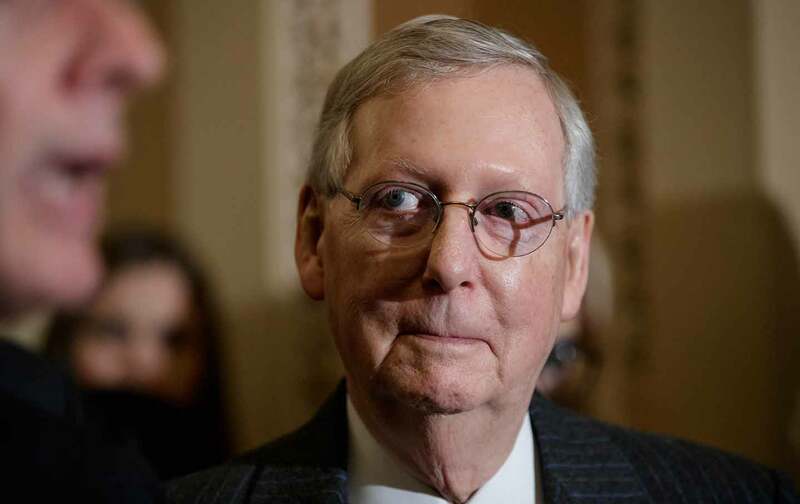 At any rate, McConnell and company are moving forward at an alarming pace. And if we learned anything from the House’s rushed, narrowly successful vote on health care, it’s this: For today’s GOP, the desire for a “victory” is far stronger than the spines of party moderates.